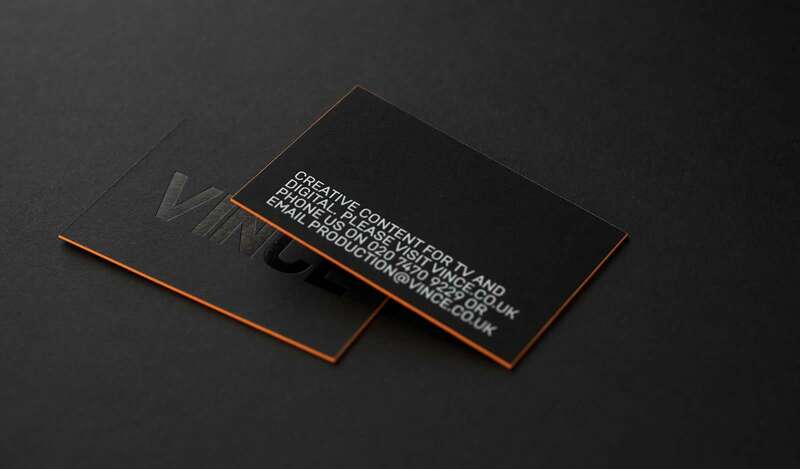 These black business cards would look fairly traditional if their edges will not be painted with fluorescent orange ink. 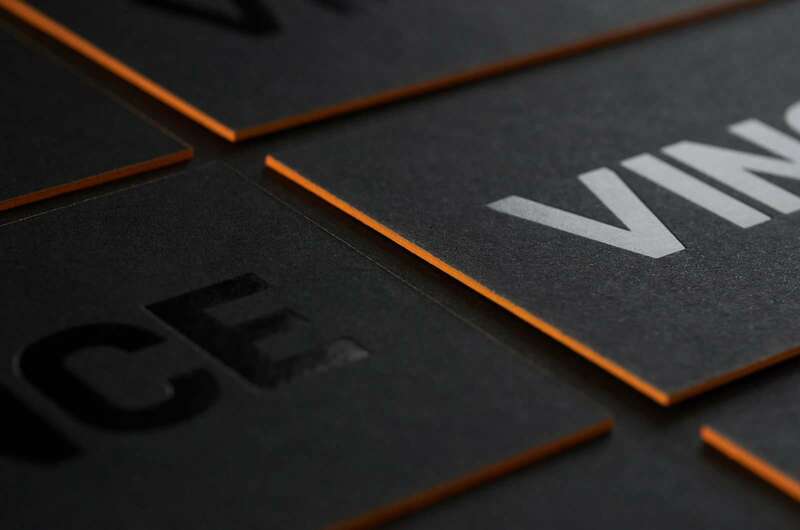 And yes, this combination of clean, delicate design with eye-catching detail really works! 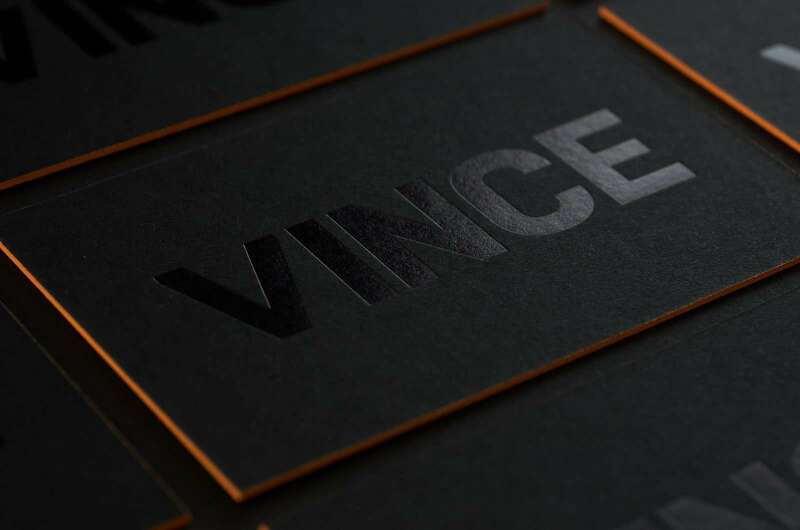 We have already mentioned that black paper is quite complicated material for printing, to achieve flawless business cards look, we should print them with hot foil, this printing method increases production price. 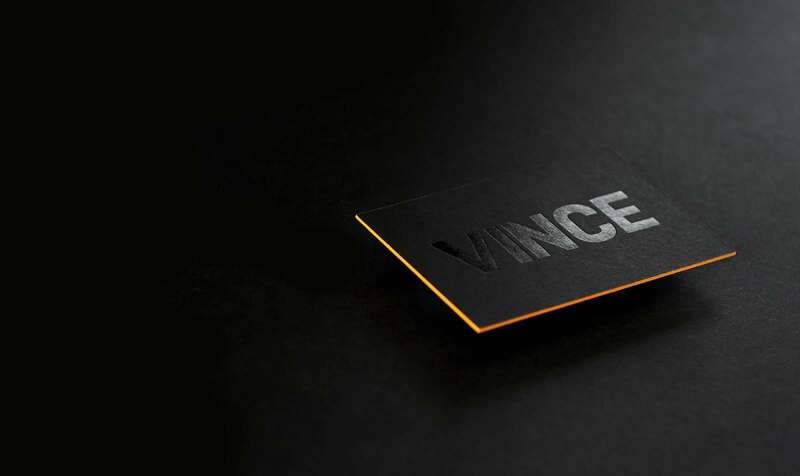 These business cards are printed on two separate premium black matte paper sheets with black glossy and extra white foils. 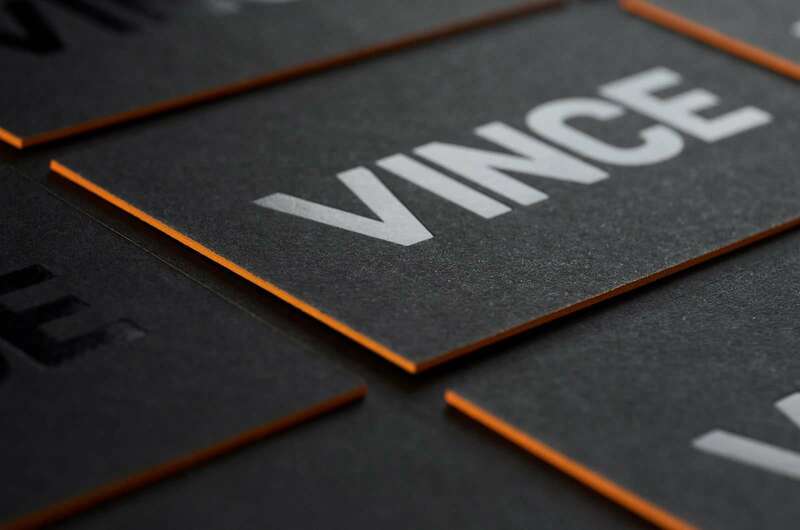 After printing both sheets we glued together to make thick stock and after all, we have painted edges with fluorescent orange ink. 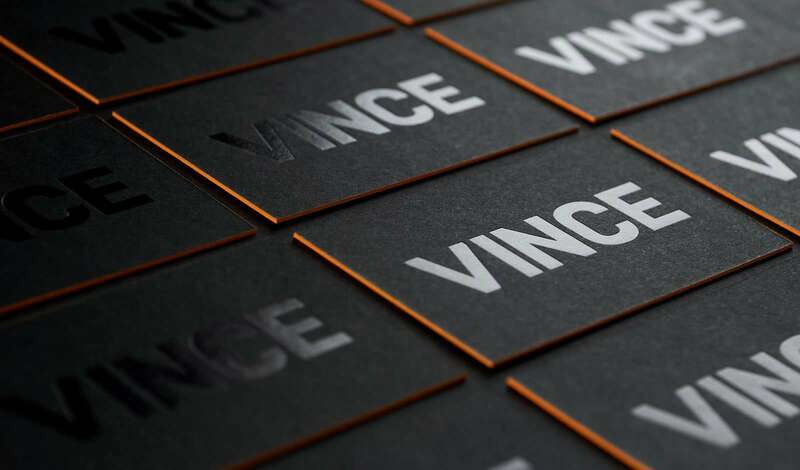 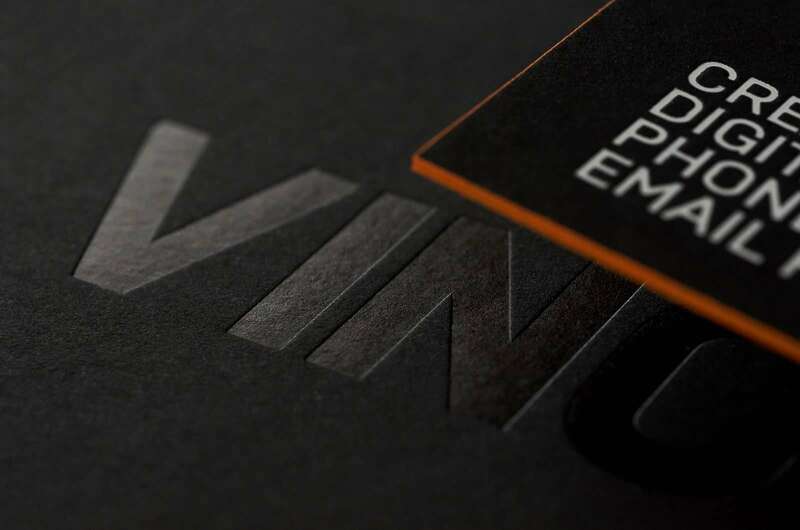 These business cards look incredibly good and we hope that they are an unrivaled communication tool for VINCE company that is based in the United Kingdom.